Lens hoods are a useful accessory for your camera. They serve a couple of purposes - keeping side light from reflecting off your lens and causing problems, and protecting the end of the lens. Normally when you buy a lens, it comes with a cap but no hood. Mid to high end lenses, like my Canon 70-200mm f/4 L lens, often come with a lens hood. However, my 17-55mm f/2.8 lens did not come with a hood. You can buy one from Canon, but it's around $75 Canadian, which is ridiculous for a piece of plastic. 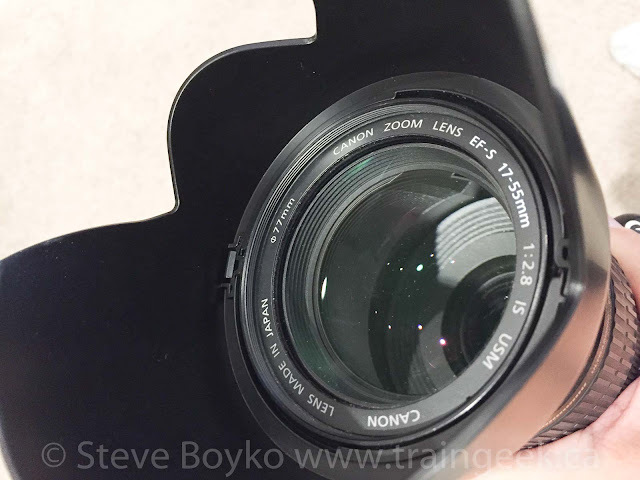 So several manufacturers have made similar hoods for the same lens. 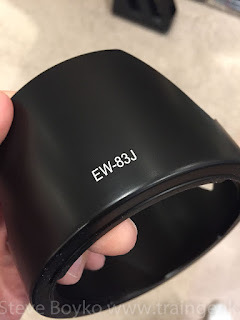 I bought the BlueBeach version of the EW-83J. At the time of writing, it's $12 Canadian, which is much more reasonable for a shaped piece of plastic. Shipping is extra, of course, unless you add enough to your order to get free shipping. Please note: if you buy anything from the Amazon links in this post, I receive a small percentage of anything you buy as a commission, at no extra cost to you. The hood comes in a plastic bag - actually one bag inside another, for some reason - and is just the hood with no instructions. Here are my instructions. Take it out of the bags. Screw it onto the end of your lens. Twist it until it doesn't obscure your photo. Some Amazon reviewers have complained that it doesn't fit quite right, and they had to trim it a bit with a hobby knife to make it fit. I found it was a snug fit on my lens - which is good - and so far it has stayed on and done its job. I've been using it for a few weeks now. To be honest, it fits just as well as the Canon lens hood that came with my 70-200mm lens. That Canon hood sometimes doesn't thread right on the first try, so I have to back it out and try again. Not a big deal, as you normally aren't slapping a hood on in a hurry. It has kind of a petal shape. Make sure you orient it right so that it doesn't block anything in your view. If you have it 90 degrees out of whack, it will cause a little vignetting, just like the "real" Canon hood does. I'm very satisfied with my lens hood. If you need a hood for your Canon 17-55mm EF-S f/2.8 lens, you might want to buy this one! You can browse all lens hoods on Amazon, but I really recommend that you search for your particular lens to find a hood made specifically for it. You want a good fit, and read the reviews to ensure people are happy with it. In the end, it's just a piece of plastic, so all that can really go wrong is that it doesn't fit right. I recently read the book "Canadian National Steam Power", written by Anthony Clegg and Ray Corley. This book was an authoritative work on CN's steam locomotives. It was written in 1969 and is a little dated, perhaps. I am not a steam locomotive expert by any means, but it was an interesting read. 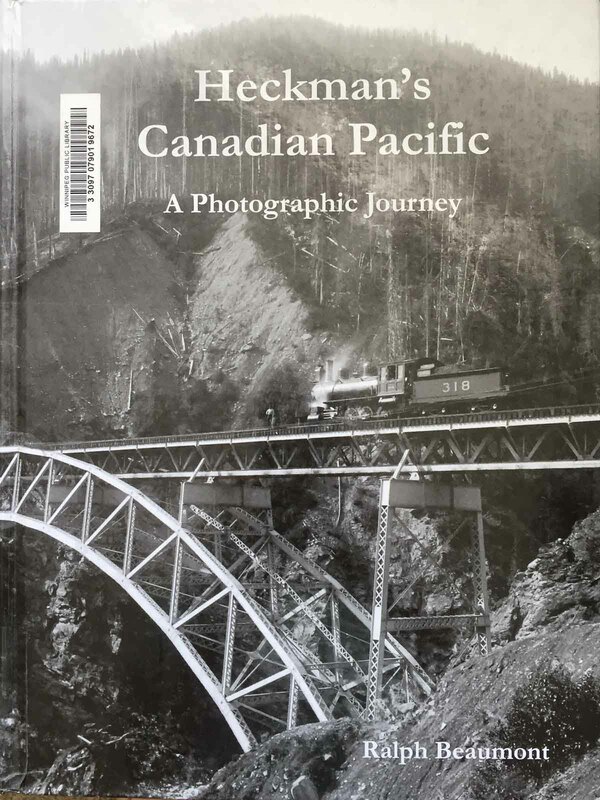 The book starts with a brief history of CN, especially of its major founding railways - the Canadian Government Railways, the Grand Trunk Railway and Grand Trunk Pacific Railway, the Canadian Northern Railway, and the Central Vermont Railway. All of these railways eventually became part of the Canadian National Railways, which became today's CN. 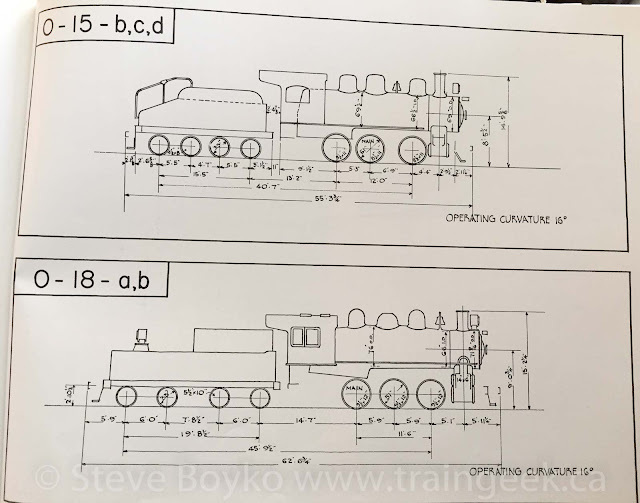 There was a lot of discussion about renumbering of locomotives as the railways merged together, along with different classes of steam locomotives and retirement of old locomotives as the CNR came into being. 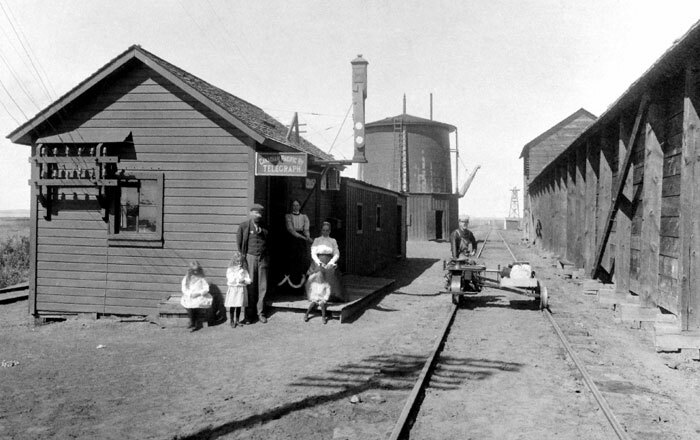 Other, smaller, railways were also merged into the CNR, such as the Kent Northern in New Brunswick and the Inverness Railway in Nova Scotia. There is a tremendous amount of data in this book. As I said, I'm not a steam fan, but I think it would be a great resource for those who enjoy steam locomotives. 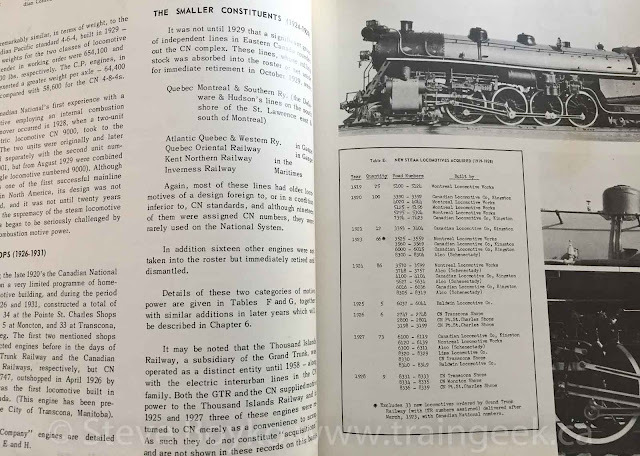 I enjoyed reading the first half of the book, with the details on the history of the CNR and the steam locomotives that were acquired by the CNR both before and after it was formed. The data section left me a little cold, but at the risk of repeating myself, I'm not a steam fan. You can find this book on Amazon and maybe at your local library. 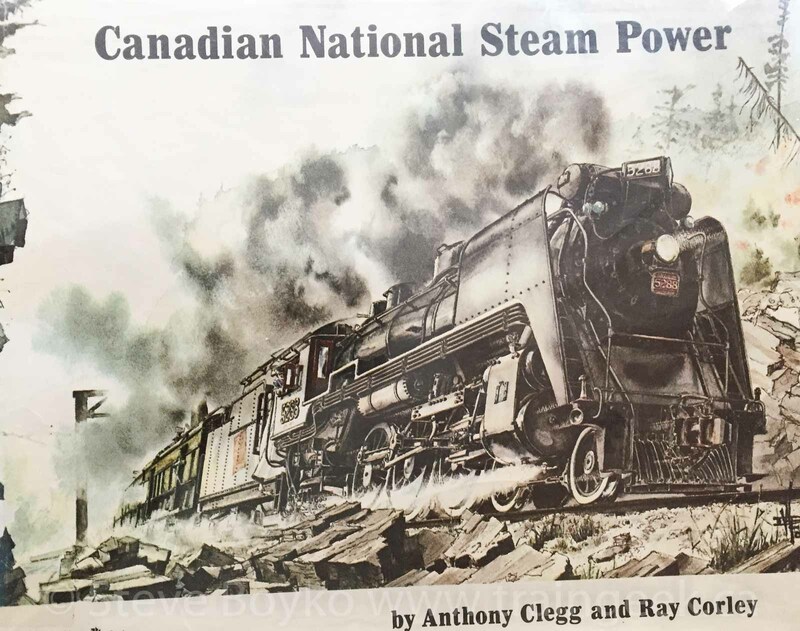 PS - you could instead buy Canadian National Steam! by Donald R. McQueen, which is based on this book based on Clegg and Corley's original book. 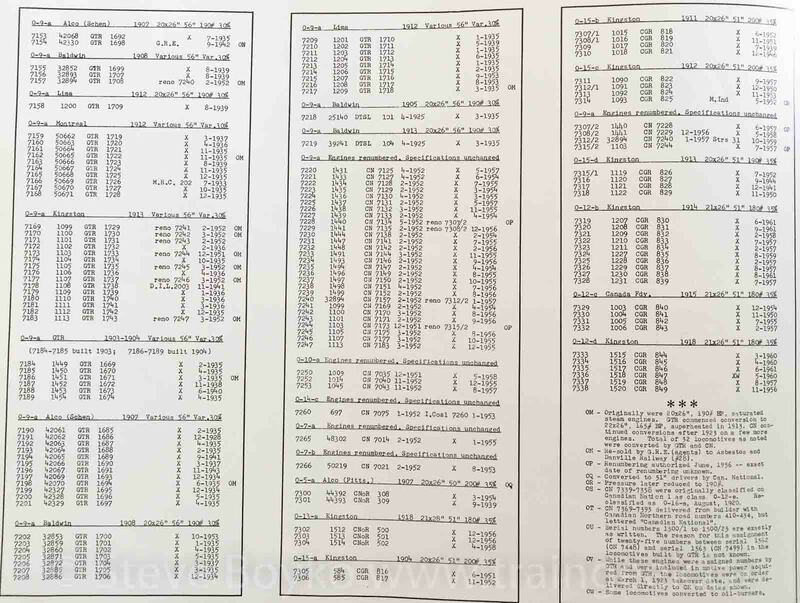 There are also eight roster books that follow on to that book. After a successful evening of sunset Sprague subdivision railfanning, I went out again the following evening, hoping for some more good photos. This time I didn't take my son along, so it was a solo outing... kind of like Dennis DeYoung's first solo album, "Desert Moon". I elected to start on the CN Rivers subdivision, since it has the highest rail traffic of any rail line around Winnipeg. When I arrived "on scene", there was an eastbound freight train rolling by, with another east-facing train sitting at mile 10. I chose to chase. 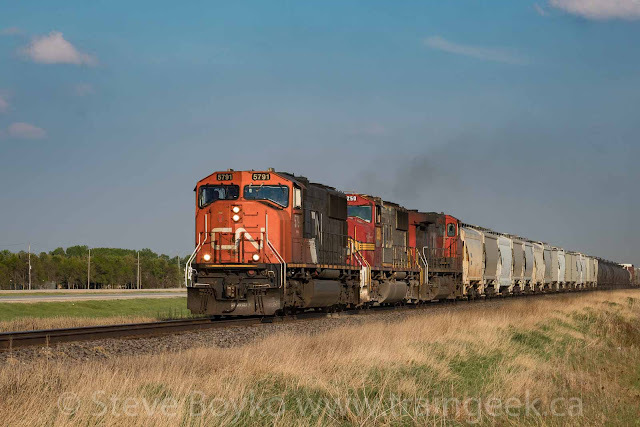 CN 2421 and IC 2465 were powering that eastbound grain train. 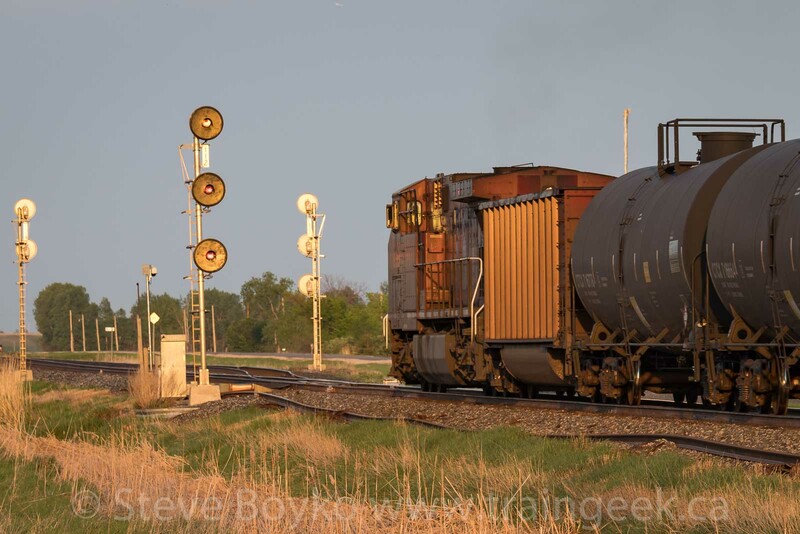 I elected to photograph them at Harstone Road, which is a crossing just west of one of my usual spots, Carman Junction. 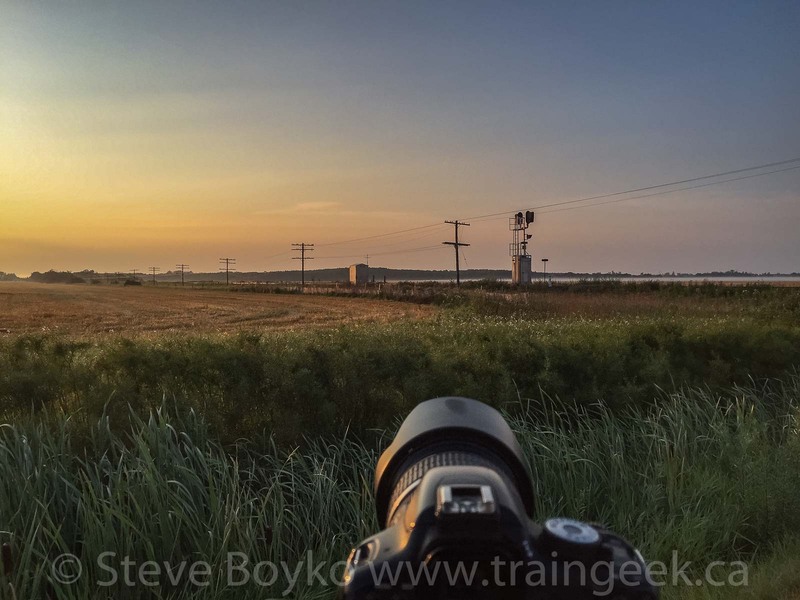 I chose this location because I could get on the north side of the tracks, where the sun was. Since it was an eastbound train in the evening, the light wasn't great so I had to make the best of it. IC 2465 - not a "Blue Devil"
These Illinois Central (IC) 2400 units (C40-8W locomotives) were originally owned by GE's Locomotive Management Services (LMS) and were leased to Conrail and painted blue. Eventually 12 of them became IC 2455-2466 and were dubbed "blue devils" by railfans. I like seeing them. Sadly, IC 2465 was repainted sometime between 2013 and 2015 and is no longer blue. This was actually the first time I saw this unit, so I never saw it as a "blue devil". Eric Gagnon has a great article on CN leasers between 1994 and 1998 that includes the "blue devils" when they were still LMS units. 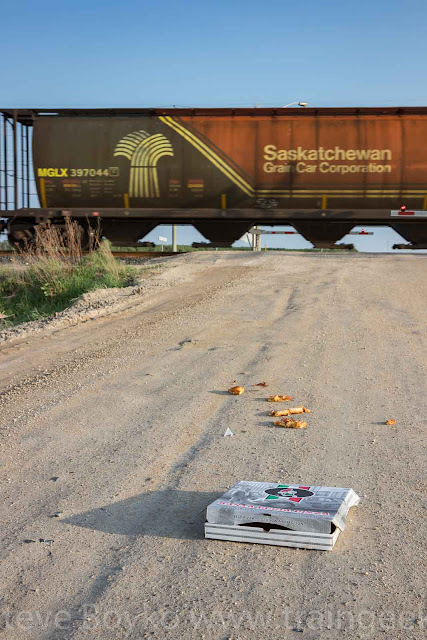 Someone had dropped a pizza box in the middle of the road, so I had to include that in a photo. Note the ex Saskatchewan Grain Car Corporation car... now MGLX (Mobil Grain). It's one of several hundred purchased from the province. About 15 minutes later, a westbound train came. As I drove west to find a spot to catch it, I found that CN 8899 East was still sitting at mile 10 on the north track. I pulled off the road and I was able to catch the meet. 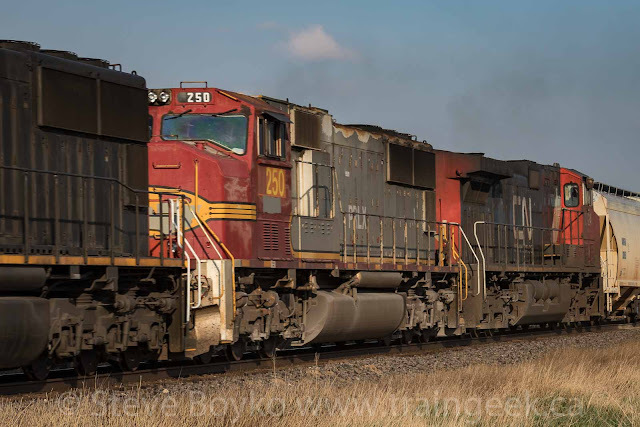 I like how someone has cleared the grime off the reporting mark on CN 8800. Note the unit in second position - PRLX 250 again! I saw that the previous night coming into Winnipeg, so here it was, continuing westward out of the city. I definitely had to chase this train! I headed west, past Diamond, to mile 15. 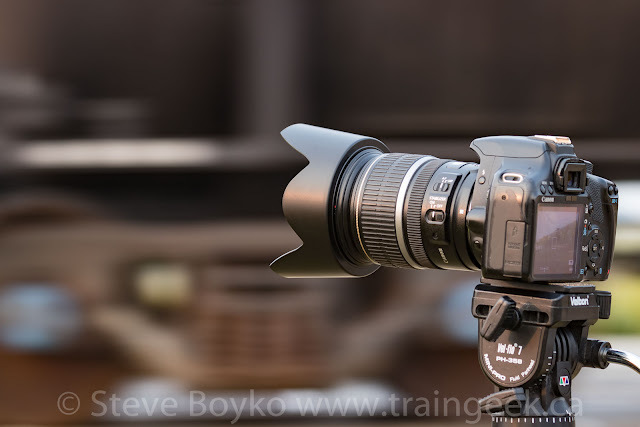 There I set my old Canon T1i up on a tripod to record video, then shot the train as it went by. 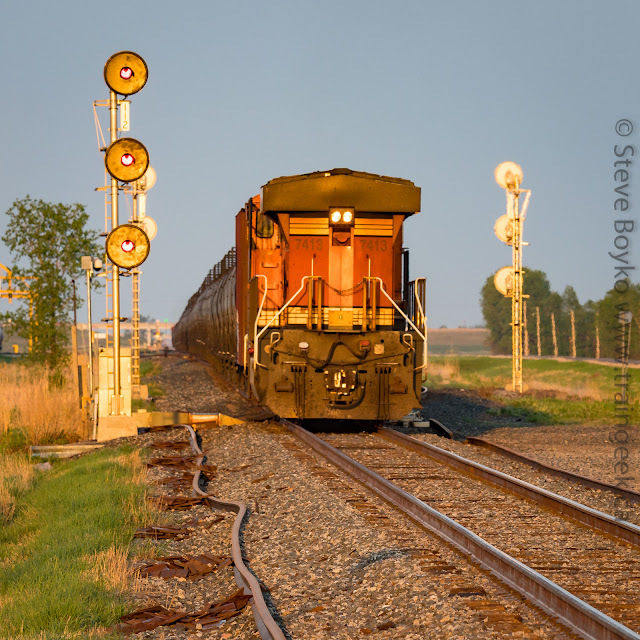 Those locomotives and the pink potash cars looked pretty sweet in the sunset light. Another shot of PRLX 250? Why not? The third unit was CN 2225, for those keeping score at home. 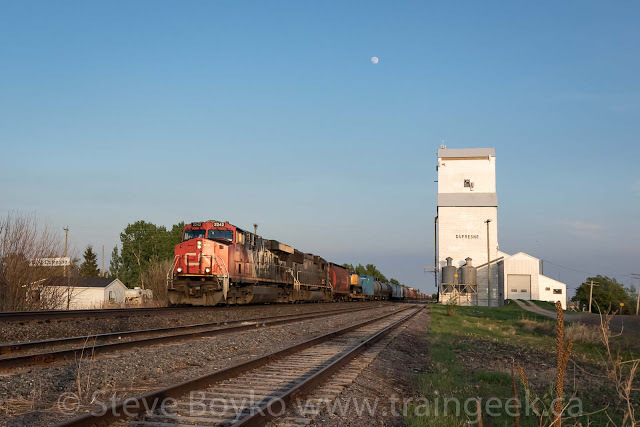 I didn't feel like there were going to be any more CN trains for a while, so I decided to take a quick trip north to the CP Carberry subdivision and see if I could catch a train there before I had to head for home. Luck was with me, because as I arrived trackside, I could see a headlight in Rosser, several miles to the west of me. I found a crossing and setup for video and still photography. 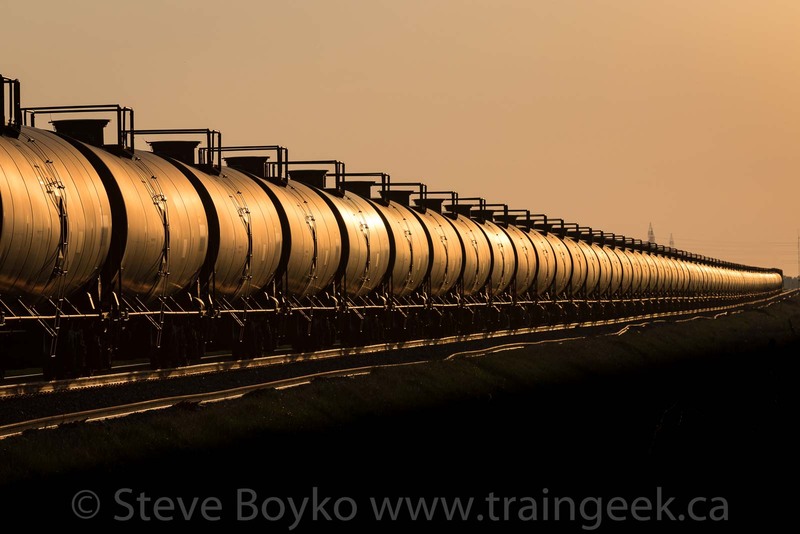 As the train approached, I could see it was an oil train. 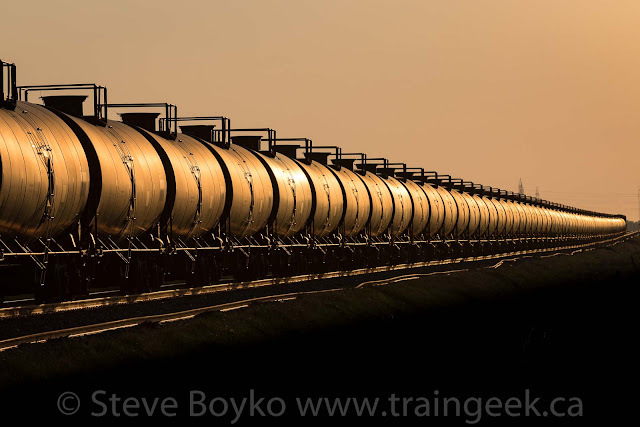 The sunset sure looked nice shining off all of those tank cars! I took a number of photos as the train approached. Say what you will about unit trains, to me they look very nice stretched out across the Canadian prairie... especially with some sweet sunset light on the side. This was truly "the best of times", in my opinion. As the train passed, I pivoted to get the "going away" view as they approached a set of signals. 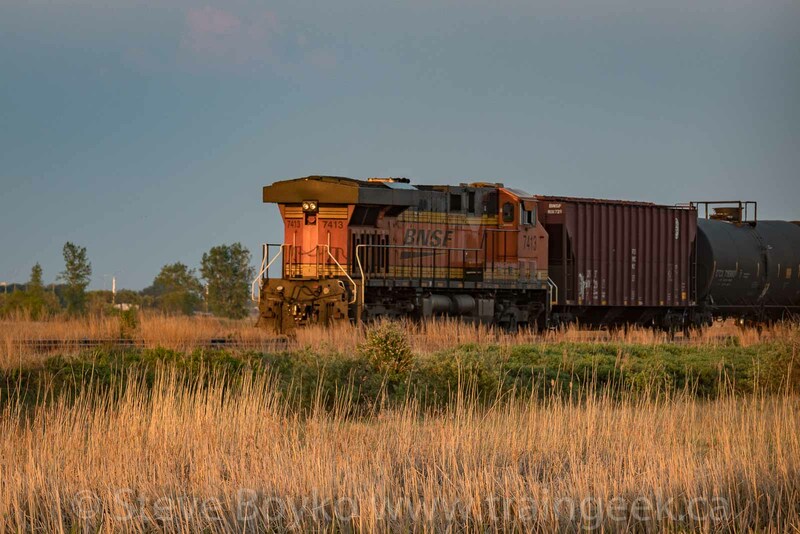 The tail end had another locomotive on it, and as the end approached, I saw it was a BNSF locomotive, BNSF 7413. I photographed them passing the signals, then I threw my gear in the car and gave chase, hoping for another photo of the BNSF unit. I wasn't really able to catch up to the train, but I grabbed this long distance photo of BNSF 7413 and the buffer car on the rear of the oil train before giving up and heading home. As I turned onto St. Mary's Road, I spotted this sunset scene and had to pull over to capture it. 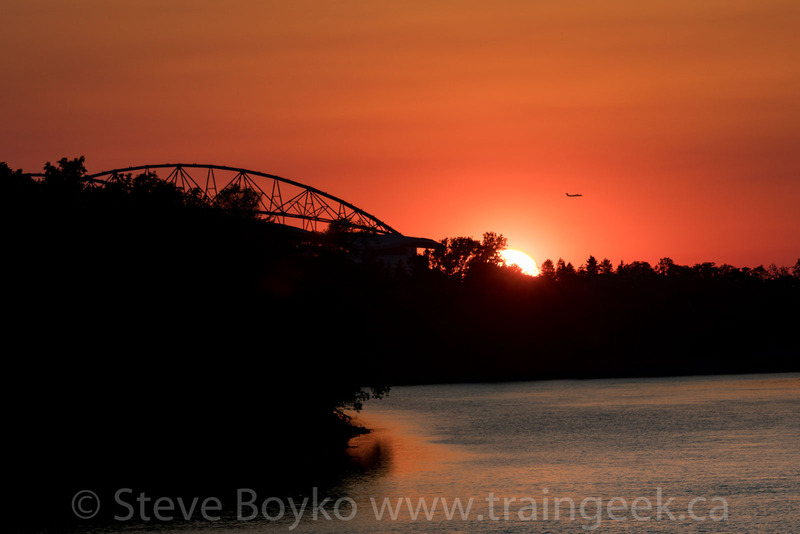 That's the Investors Group Field stadium on the left, home of the Winnipeg Blue Bombers (arch-nemesis of my beloved Saskatchewan Roughriders). PS - I quoted Dennis DeYoung at the start because I finally saw him in concert, here in Winnipeg, on August 16. Dennis is the former lead singer of Styx. He and his band played at the magnificent Burton Cummings Theatre. 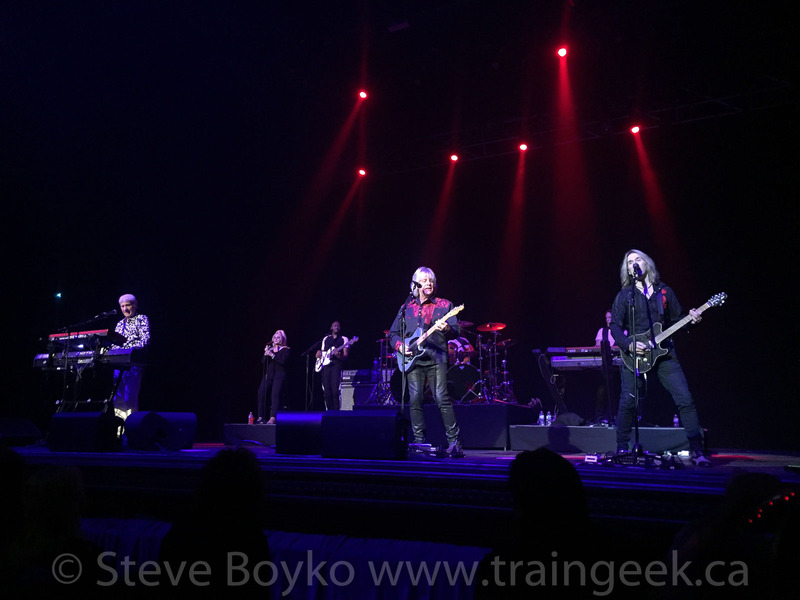 I sat in the 4th row and enjoyed the performance of the full album "The Grand Illusion" plus many Styx hits. At 69 he still sounds great, and his band was excellent. If you get the chance, go see Dennis - or Styx - in concert. Both put on great shows. 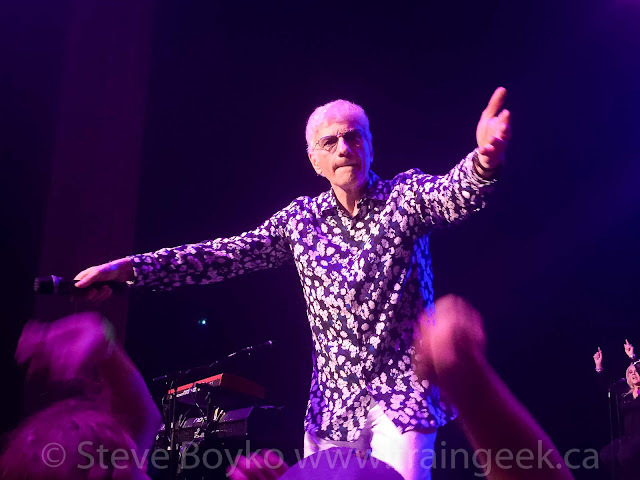 Dennis DeYoung, up close and personal! 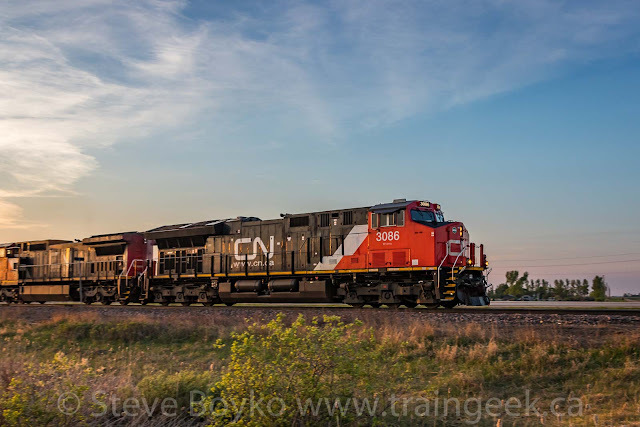 My youngest son and I went out railfanning on the evening of May 26, 2018 along the CN Sprague subdivision. 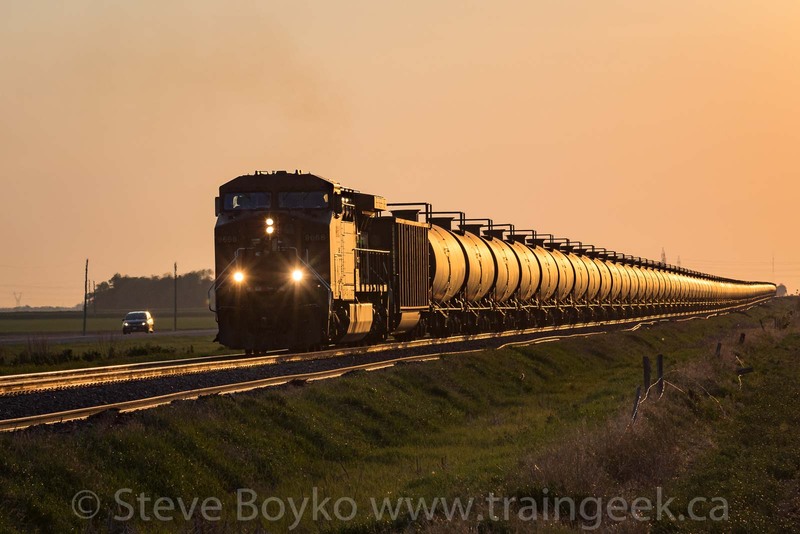 I live in southeast Winnipeg, so when I head out to see some main line action, I have two choices - head east to see the CN Sprague subdivision or the CN Redditt subdivision, or head west to see the CN Rivers subdivision or the CP Carberry subdivision. On that day, I chose to head east to the Sprague. I found a westbound freight between Deacon's Corner and Dufresne, and I took the shot at a rural crossing. Westbounds in the evening are nice because you get that sweet nose light. 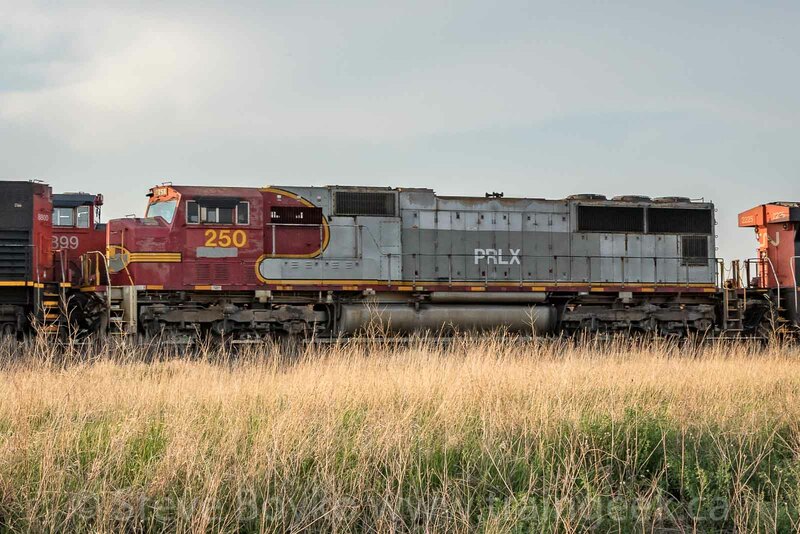 That second unit... another "warbonnet" leaser! 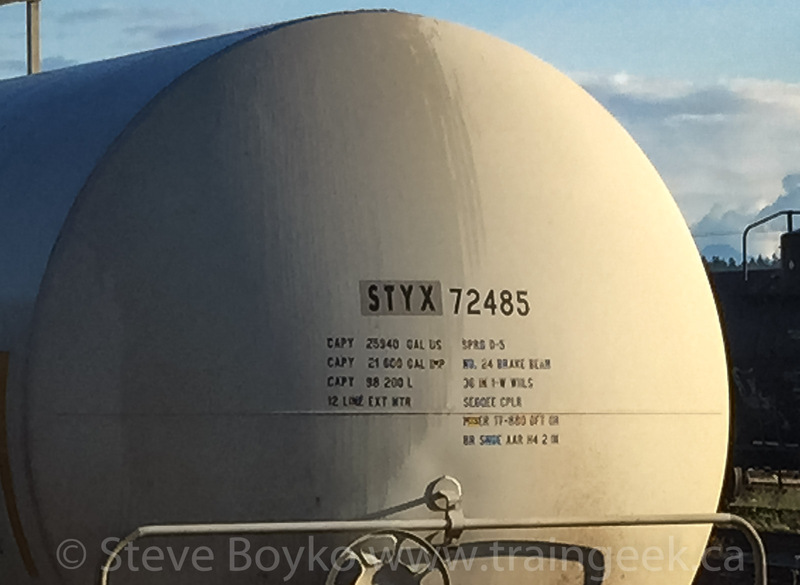 The train had a lot of general freight on the head end, then a long string of tank cars. That was nice. I took video with my older Canon T1i on a tripod, with a 50mm lens. 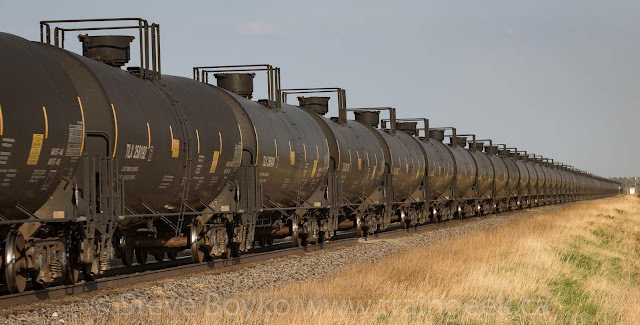 I like the sound of the tank cars whooshing by. 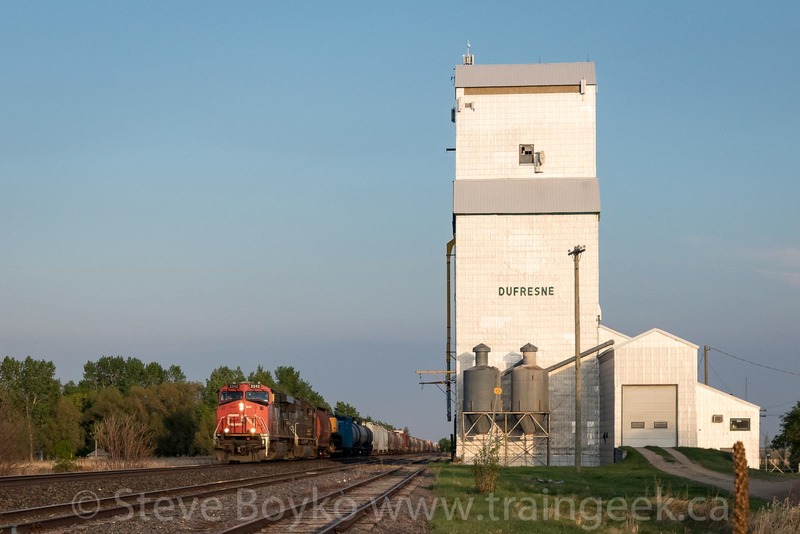 We carried on to Dufresne to the grain elevator there. I was hoping for another westbound to get them with the nice sunset light on the elevator. I've written about how I am not a patient person. At least this time, I was with my son, so we could chat about Super Smash Brothers or Pokemon or whatever while we waited. After about 50 minutes of waiting, a train did come along. It was a westbound! I can't decide which photo I like best - the one above or the one below. What do you think? Leave a comment! "Death star" IC 1000 was the second unit, and there was a CAT backhoe on a flatcar two cars back. Here's the video. I should have had the camera a bit farther back, I think. I waited twenty more minutes to see if another westbound was following, but nothing came along. I packed everything up and we headed back toward Winnipeg. This was unexpected, but this shot was my favourite of the evening. I just love that gorgeous sunset light. It's funny how the light can change so much just by the angle you shoot it at. Contrast the photo above with the one below, taken seconds later as the train passed by us. It's like it was a totally different day. I didn't have time to set up for video for this one. 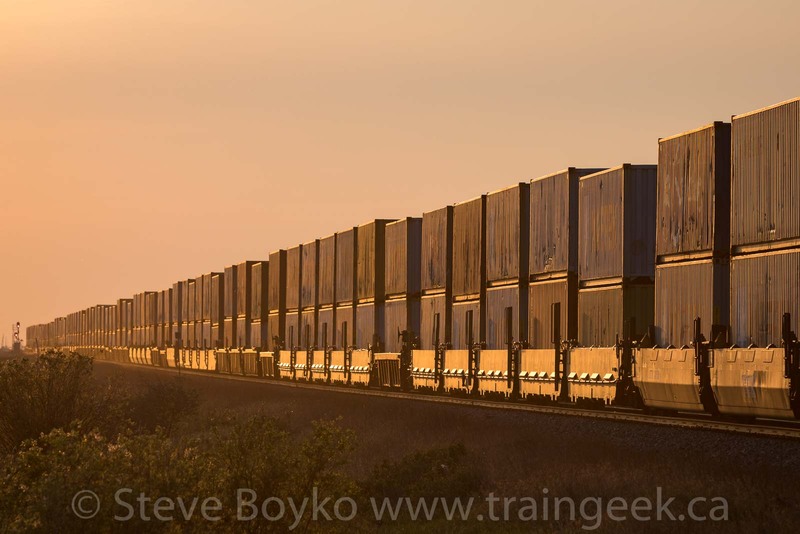 This train was a solid intermodal (container) train. I know a lot of people don't like the container trains, as they are basically just a wall of containers, but I like the symmetry... and they look nice at sunset. 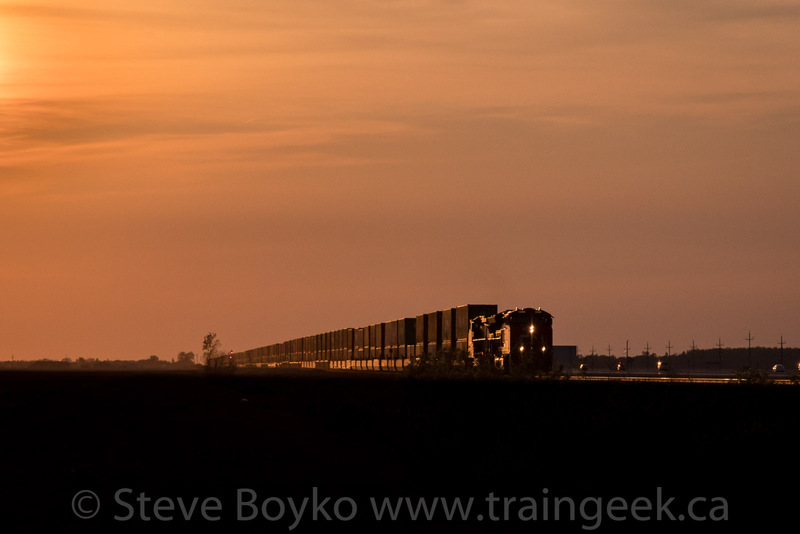 It was a lovely evening for railfanning. I'm not sure my son would agree :) but I enjoyed it. 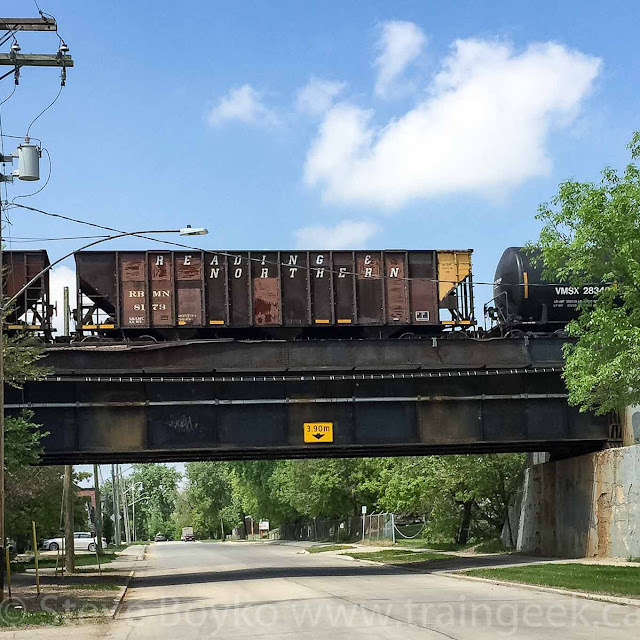 As a little extra, here's a freight car I saw earlier in the day when I was in downtown Winnipeg. These Reading and Northern cars show up now and then on CN. Photographers are always talking about light... the quality of light, direction of light... we're obsessed with it. There's a reason for that. "Good" light makes a BIG difference in photos. Light matters. Check out the photos above and below. These are churches that I photographed, seconds apart, and processed exactly the same. The left photo is without sunlight and the right photo has sunshine. Click on the photos to see a larger version. Do you see how having "good light" makes a huge difference in the photo? 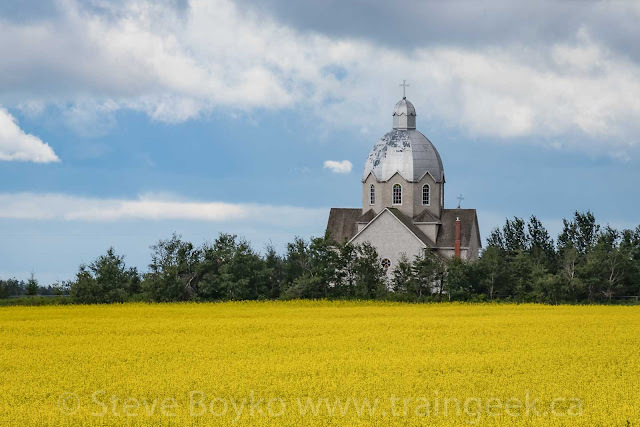 The left photos are flat and lack contrast, while the subject (church) in the photos on the right stand out and draw the eye.